Did you know that high blood pressure has a true cause? Did you know that your medical doctor will scare you into thinking medication is the only solution? When you are tired of the medications and do not want to suppress your body anymore, please call Dr. Huntoon and have a Consultation. About 1 in 3 U.S. adults — an estimated 68 million — have High Blood Pressure. High Blood Pressure greatly increases the risk for heart disease and stroke. The increase in these leading causes of death in the United States, as well as the fact there are often no warning signs or symptoms, have lead to High Blood Pressure being called "the silent killer". Blood pressure is the force of blood against your artery walls as it circulates through your body. Blood pressure normally rises and falls throughout the day, but it can cause health problems if it stays high for a long time. It is very important to get your blood pressure checked regularly because many people do not realize they have it. The good news is that you can take steps to prevent high blood pressure, or to treat it if it is already high. Heart failure, which occurs when the heart can't pump enough blood and oxygen to your other organs. High blood pressure often has no warning signs or symptoms, which is what makes the “silent killer” so deadly. The only way to detect whether or not you have high blood pressure is to have your blood pressure measured by a doctor or health professional. Many places in our society, you can walk into a Pharmacy, Walmart or other Big Box Store and have your blood pressure taken by a machine. You can even purchase a blood pressure machine for yourself and take it while at home. The challenge with having access to these methods is the ease at which it can be done. Often, the person becomes obsessed with their blood pressure, which increases the stress around their blood pressure and will naturally increase their blood pressure. Also be mindful that going to the doctor for your health and having your blood pressure taken while in the office is also stressful. The underlying stress of perhaps getting bad news or being judged for your results increases your pressure. This will result in a false elevation when in the presence of your doctor or while in the office. High blood pressure often has no warning signs or symptoms, which is what makes the “silent killer” so deadly. The only way to detect whether or not you have high blood pressure is to have your blood pressure measured by a doctor or health professional. Despite being a quick and painless procedure, many people never have their's checked. Some health conditions, as well as lifestyle and genetic factors, can put people at a higher risk for developing high blood pressure. Age can also play a part as high blood pressure is more common in men over the age of 45, and women over the age of 65. Other risk factors include your weight, your level of physical activity, and your diet. While some factors are outside a person’s control, everyone can take steps to lower their blood pressure. This can be done through becoming more physically active, or making dietary changes, stopping smoking, or limiting alcohol intake. Diabetes affects the body's use of a hormone called insulin. This hormone tells the body to remove sugar from the blood. With diabetes, the body either doesn't make enough insulin, can't use its own insulin as well as it should, or both. This causes sugars to build up in the blood. About 60% of people who have diabetes also have high blood pressure. 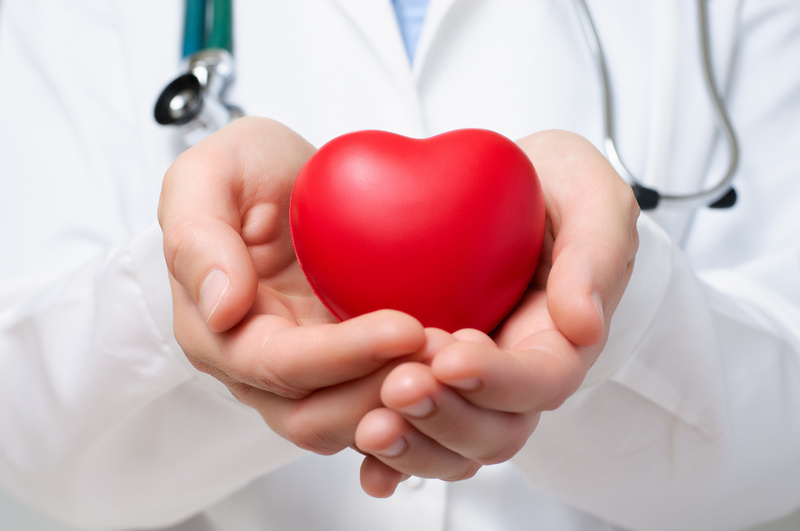 Healthy behaviors contribute to keeping your blood pressure low, which in turn decreases your risk of heart disease. Sodium is the element in salt that can raise blood pressure. Most of the sodium we eat comes from processed and restaurant foods. Eating too much sodium can increase blood pressure. Not eating enough potassium (from fruits and vegetables) can also increase blood pressure. Being overweight can cause high blood pressure. Not getting enough exercise can make you gain weight, which can lead to high blood pressure. Smoking raises your risk for high blood pressure. 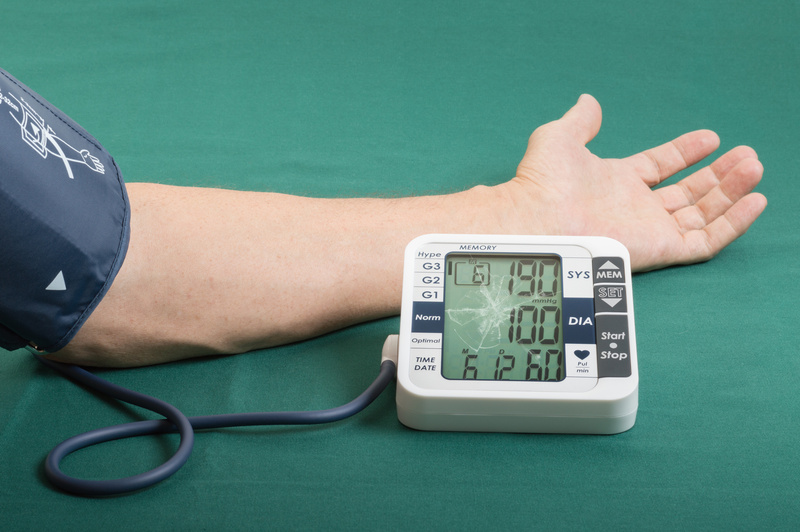 Blood pressure tends to rise as people get older. "Treat" your high blood pressure? That is the standard of care, and yet it has never worked to fix the problem. That is why it is called "treatment." Your Medical Doctor will offer you lifetime treatment of prescription medication, in addition to recommending lifestyle changes, while never addressing the CAUSE for having high blood pressure. Should You Treat Your High Blood Pressure With Medication? Perhaps for short-term only, while looking for the source of the high blood pressure, and addressing that. Be mindful that All drugs have side effects, so research your medication and talk with your doctor on a regular basis. As your blood pressure improves, your doctor will want to monitor it often. If it doesn't return to normal and you can begin to wean of the medication, consider Dr. Huntoon's Alternative Medical Treatment Options. We have a Universal concern in our society that continues to be passed on to each successive generation that has nothing to do with genetics. It will affect our genetics by impacting our epi-genetics, and it is causing the condition of high blood pressure to become a bigger and bigger health concern. The real problem is the government, the pharmaceutical industry and the medical profession is not looking to remedy the situation. There is too much money being made "treating" the condition and making all of us feel like it is inevitable for each of us to develop this growing epidemic. You may have noticed they changed the standards of what is considered high blood pressure by lowering the reading. This is under the guise of wanting to "help" more people before it becomes full blown disease. With 60 million Americans having high blood pressure before the change, it now has been doubled to imply that 60 million more Americans need to be on blood pressure medication when the original 60 million have not had their condition properly addressed. Answering the question "Why?" becomes paramount for the individual. And I have yet to see anything on the internet that is willing to tackle this concern. It is a Universal problem for sure and it has to do with an organ, a gland and a part of your Nervous System that are all suffering the effects of "stress." Stress impacts all of us and leads to a very easy to understand cascade of effects within the body I will explain to you. When we are stressed, there is a gland that sits on top of each kidney, known as your adrenal gland, that responds to the stress. The proximity is related to the partnership to regulate our fluid levels, our electrolytes and our excretion of liquid wastes. This is what is involved with managing your blood pressure by your body. Under stressful circumstances, the adrenal gland is stimulated to manage the fluids based on how much sodium and potassium are being filtered through the kidneys. The adrenals releases a hormone called "aldosterone," which is designed to signal the kidneys to hold onto sodium. This is in an effort to conserve water to respond to the excess stress as controlled by the Sympathetic Nervous System. This is the part of the Nervous System that helps us deal with the alarm response or "fight/flight" mode we find ourselves in throughout life. In centuries past, we would spend about 5 percent of our day in the mode of "fight/flight" to deal with the dangers of life. 95 percent of the day would be spent in the Parasympathetic mode of relaxation, digestion and healing, certainly when sleeping in an effort to "reset" the body for the next day. By conserving sodium and water, the pressure within the Circulatory System would increase, allowing blood to be pumped faster to the brain to allow for quick thinking; to the muscles for quick responding; the pupils of the eyes to dilate, letting in more light to see better; thus allowing us to respond to the stress appropriately. This is a normal healthy response, as it allows for the increased survival when there is a threat. After the "threat" has passed, there is a second response the body has, called "aldosterone escape." This is where the conservation of sodium and water are released by the kidneys, allowing the blood pressure to return to normal. What helps this is the other electrolyte found in the body that balances sodium known as potassium. Having sufficient amounts of potassium through proper dietary intake is just as, if not, more important than reducing sodium intake. When you restrict sodium intake, it signals the adrenal glands to conserve sodium via the mechanism of releasing aldosterone. If the person is always stressed because of work, money, relationship, peer pressure, the internet, the cell phone, dead-lines, emergencies, etc., is it any wonder we all have problems managing our stress response, let alone our stress. Consider that each of us has several health concerns affecting each of us Universally. These are the results of eating Completely Refined And Processed (CRAP) foods, which leads to poor to no nutritional resources to rebuild and repair the body; Leaky Gut Syndrome as a result of being exposed to the Digestive System Disruptors; disregulation of our Hormonal, Endocrine and Immune Systems as a result leading to conditions like Fibromyalgia, Chronic Fatigue Syndrome, Arthritis, Autoimmune concerns and many other health issues. Can you see the pattern within our society? Restoring balance to the different systems that have been affected by our life-styles becomes paramount. Addressing the Adrenal System, the Endocrine System, the Digestive System and the Sympathetic Nervous System at a minimum using whole food supplements to supply the body with the required ingredients to repair and rebuild these organs, glands and systems is a must. Depending on the person's unique health situation, Dr. Huntoon will help you develop a well thought out plan of action designed to return you to health. Dr. Huntoon has spent 30 years helping his practice members restore their blood pressure to a healthy level. He then instructs them on how to keep their blood pressure healthy and normal, WITHOUT medication. By empowering each individual patient to understand their unique reason for having high blood pressure allows the individual to understand how to control their own blood pressure so it is never an issue. Working with a Holistic Chiropractor who can help you monitor your blood pressure and address the underlying cause of your high blood pressure is important. Developing a well-rounded, multifaceted approach will help you understand how to maintain normal blood pressure levels and what you can do to increase your cardiovascular and blood pressure health. Many other Alternative Healthcare Practitioners such as an Acupuncturist, a Homeopath or a Naturopath have had great success in treating the underlying causes of high blood pressure. Each of these providers look to understand the cause of your high blood pressure by determining what in your life-style and eating habits are contributing to your high blood pressure. Treatments are focused on enhancing the diet and balancing your digestion, thus eliminating the source of the high blood pressure once and for all. Prehypertension—blood pressure levels that are slightly higher than normal—increases the risk that you will go on to develop chronic high blood pressure. This should always be done in 3 positions every doctors visit (seated, standing and laying down). If this is not done at your doctor's office, consider finding a new doctor who will. Blood pressure is measured using two numbers. The first (systolic) number represents the pressure in your blood vessels when your heart beats. The second (diastolic) number represents the pressure in your vessels when your heart rests between beats. If the measurement reads 120 systolic and 80 diastolic, you would say "120 over 80" or write "120/80 mmHg." The difference between the two numbers tells us the Pulse Pressure, or the amount of stress on the heart with each cycle of pumping. You always want to know what your Pulse Pressure is when having your blood pressure taken. High blood pressure is a serious health concern and should not be ignored. It increases your risk for heart disease and/or stroke. People at any age can take steps each day to keep blood pressure levels normal. Working with a Holistic Chiropractor is the best way to develop a life-style for creating normal blood pressure. Eating healthfully can help keep your blood pressure down. Eat lots of fresh fruits and vegetables, which provide nutrients such as potassium and fiber. Also, eat foods that are low in saturated fat and cholesterol. Studies have shown that people who eat a healthy diet can lower their blood pressure. Being overweight can raise your blood pressure. Physical activity can help lower blood pressure. The Surgeon General recommends that adults should engage in moderate physical activities for at least 45 minutes on most days of the week. Smoking injures blood vessels and speeds up the hardening of the arteries. Further, smoking is a major risk for heart disease and stroke. If you don’t smoke, don’t start. If you do smoke, quitting will lower your risk for heart disease and stroke. Your doctor can suggest programs to help you quit. Drinking too much alcohol is associated with high blood pressure. If you drink alcohol, you should do so in moderation—no more than one drink per week for women or two drinks per week for men. Getting your blood pressure properly checked in 3 positions is important because high blood pressure often has no symptoms. Make sure you always check your blood pressure in 3 positions to fully understand what your blood pressure is and how your body is reacting to stress. This will help you and your doctor understand the underlying cause of your blood pressure and help you develop a plan for restoring balance to your blood pressure.